Newbery Medal winner Karen Hesse's Civil War diary, A LIGHT IN THE STORM, is now back in print with a beautiful new cover! In 1861, Amelia Martin's father is stripped of his post as a ship's captain when he is caught harboring the leader of a slave rebellion. Now he is an assistant lighthouse keeper on Fenwick Island, off the coast of Delaware -- a state wedged between the North and the South, just as Amelia is wedged between her warring parents. Amelia's mother blames her abolitionist husband for their living conditions, which she claims are taking a toll on her health. Amelia observes her mother's hate and her father's admiration for Abraham Lincoln. But slavery is the deeper issue separating the two sides. 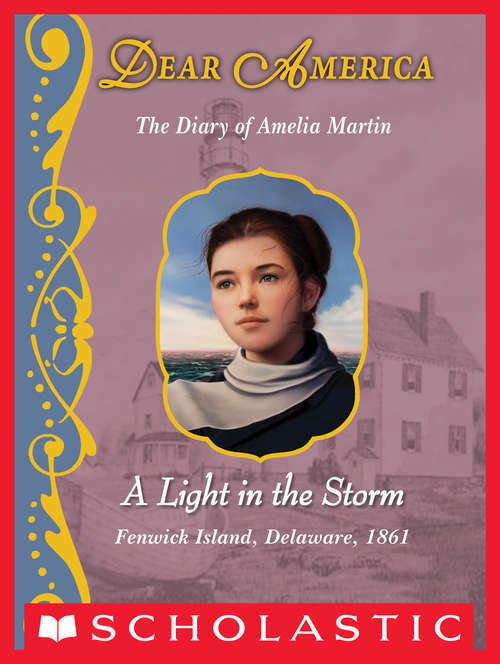 As the Civil War rages on, Amelia slowly learns that she cannot stop the fighting, but by keeping watch in the lighthouse each day, lighting the lamps, cleaning the glass, and rescuing victims of Atlantic storms, she can still make a difference.